“An exceptional veterinarian loves animals, is a good listener, and is forever curious.” ~ Dr. Sharon Schamberger. A practicing veterinarian since 1983, Dr. Schamberger graduated from the University of Illinois School of Veterinary Medicine. She founded Mostly Cats in 1992 to focus on the health concerns of felines. Dr. Schamberger believes continuing education is a must for all veterinarians and their staff, keeping Mostly Cats a leader in modern feline medicine. Dr. Schamberger is an active member of the American Association of Feline Practitioners (AAFP), Veterinary Practitioners Information Network (VIN), American Veterinary Medical Association (AVMA), American Animal Hospital Association (AAHA), and northern Illinois Veterinary Medical Association (GRVMA) and currently serves on the Board of Directors for the Winnebago County Animal Services Auxiliary. Dr. Schamberger shares her home with her cat Cookie. A graduate from the University of Illinois School of Veterinary Medicine, Dr. Sarah K. Thurber has been practicing in the Rockford area since 1996. Her interests include internal medicine, especially chronic diseases. She particularly enjoys helping clients to manage their pet's conditions so that these furry family members have a better quality of life. Dr. Thurber is a member of the American Veterinary Medical Association (AVMA), Illinois State Veterinary Medical Association (ISVMA), and the Veterinary Practitioners Information Network (VIN). She has been the secretary of the Greater Rockford Veterinary Medical Association (GRVMA) since 2000. 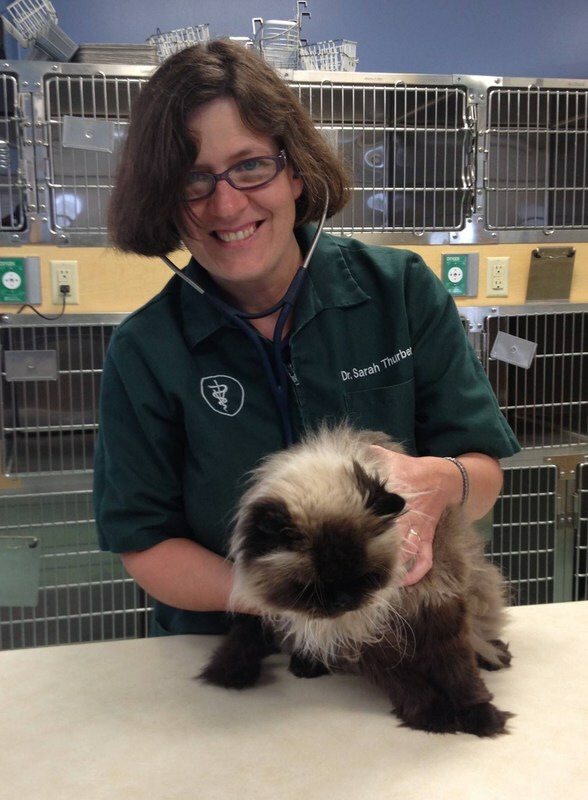 Dr. Thurber has been a vital member of the Mostly Cats team since 2012. Dr. Thurber shares her home with her husband Sam, their twin children Gina and Tony, and their cat Smokey and dog Georgia.